I’ve long thought that the rides at Disneyland and Walt Disney World are perfect but not living up to their Pixar potential. Now with new expansions to the parks, Pixar films are becoming more of a fixture which is long overdue. 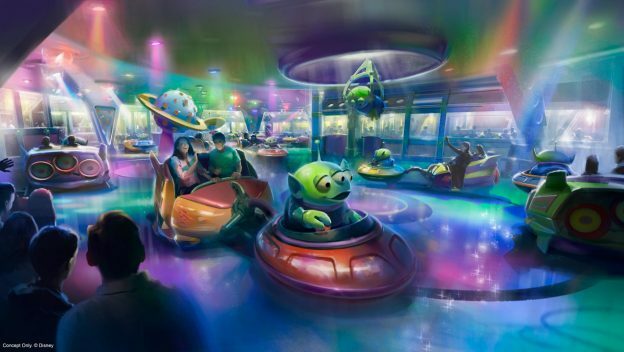 The latest concept art for Toy Story Land has been revealed, with everyone’s favorite little green guys, the Pizza Planet aliens! Sounds like it’ll be a fun galactic addition to Toy Story Land!